An unnecessary surgery may constitute a surgery malpractice claim. Whether or not a patient has a viable medical claim depends on the events surrounding the surgical procedure. For example, malpractice occurs when a surgical procedure had no medical value. Another instance of medical negligence is when consent was not given prior to the surgery, or it was obtained under false pretenses. A case is also likely to warrant a malpractice claim if the surgeon operated beneath the standard level of care. When a surgeon performs surgery for a medical concern, the procedure may be proven unnecessary. However, that unnecessary procedure may not qualify as a malpractice case. These situations are analyzed on a case-by-case basis. An attorney must look into the case to determine if the patient has grounds for a viable lawsuit. In order for unnecessary surgery to rise to a malpractice claim, a patient must prove that the surgeon acted in a negligent manner. Along with that, the patient can also prove that the surgery was uncalled for. All negligent claims must be supported by facts that prove that the surgeon diverged from the standard duty of care while performing surgery. The patient strives to show that another competent surgeon would have acted differently when faced with the same situation. For instance, a different surgeon would not have performed the surgical procedure. All procedures that involve anesthetics or incisions contain inherent risks. Regardless of their nature, these procedures can be fatal for patients. When patients survive unnecessary surgeries, they still face a long road to recovery. Besides medical and physical issues, they must deal with financial burdens. Financial issues include the cost of surgery, postoperative expenses and income loss while recovering from surgery. Fortunately, these costs can be included in the list of damages when filing a claim that stems from an unnecessary procedure. Patients can also include non-economic damages in their claim. Both surgeons and hospitals can be considered liable during malpractice lawsuits. Before a patient can determine liability, he or she must first prove that negligence occurred. This is usually done through the use of a third party medical expert. The expert reviews the surgical procedure, investigates how the patient was diagnosed and analyzes how the surgeon reached a treatment decision. Once this information is collected, the expert can make a solid determination as to who should be held liable. If someone did not provide the standard level of care, then that surgeon may be legally responsible. Since hospitals employ surgeons, they can also be held liable. If someone has suffered from an unnecessary surgical procedure, then the individual should consult with an attorney experienced in medical malpractice litigation. All patients have legal rights. A lawyer helps patients determine if a case calls for a malpractice claim. Since cases are determined based on individual factors, a comprehensive review is required. 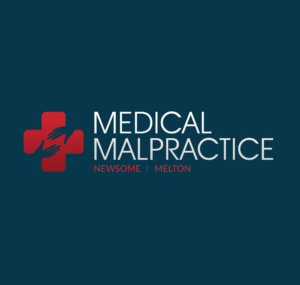 This is the only way for patients to know if they have a viable malpractice case.